A trip to the museum is always fascinating. It makes one familiar with history. To know a particular place well, one should always pay a visit to the local museum. 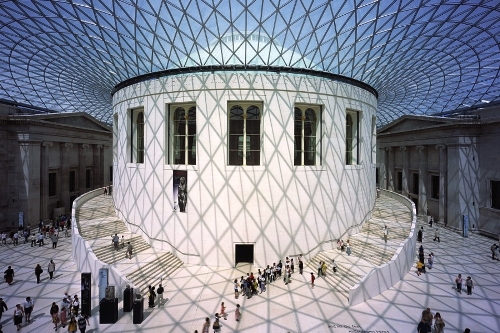 In this slide show, we present 16 top museums of the world. The list is made on the basis of number of visitors that throng the museum every year as also each one's collection. This is one of the world's largest museums, the most visited art museum in the world and a historic monument, including Mona Lisa by Leonardo da Vinci. About 8-9 million visitors throng the museum each year. 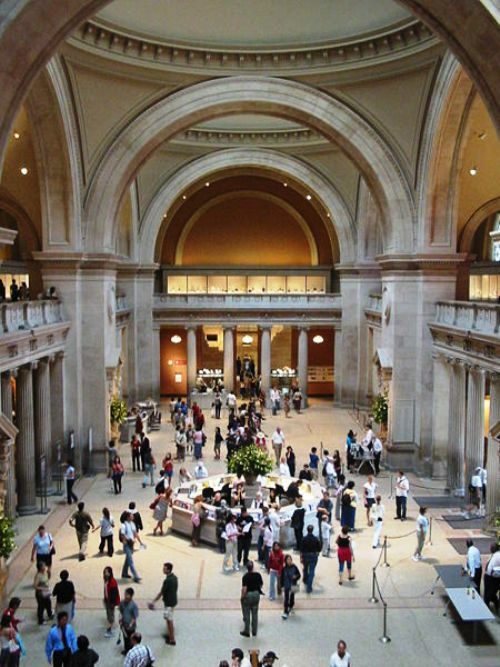 The Metropolitan Museum of Art was founded in 1870 by a group of American citizens. The Metropolitan Museum of Art (colloquially The Met) is a renowned art museum in New York City. Its permanent collection contains more than two million works, divided into nineteen curatorial departments. There is also a smaller second location at 'The Cloisters' in Upper Manhattan that features medieval art. About 5 million visitors throng the museum each year. The museum is home to encyclopedic collections of musical instruments, costumes and accessories, and antique weapons and armor from around the world. They are located in Viale Vaticano in Rome, inside the Vatican City. 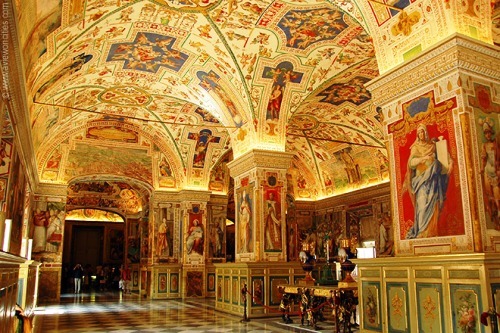 This is where the Sistine Chapel and Michelangelo's famous ceiling frescos are found. It also has work by some of the other greatest Renaissance artists. The museum is one of the largest in the world that brings people from all over. About four million visitors throng here annually. About 4.5 million visitors throng the museum each year. Established in 1937, the museum is open to the public and free of charge. The museum came into being by a joint resolution of the United States Congress, with funds for construction and a substantial art collection donated by Andrew W Mellon. The National Gallery is located on the National Mall and is made up of two buildings, the East and the West building. The museum receives about 4.5 million visitors annually. The West Building has a huge collection of sculpture and paintings from Europe from medieval times up to the 19th century, but includes works by Monet, Rembrandt, Leonardo da Vinci and Van Gogh. The East Building is more concerned with contemporary and modern art like Pollock, Picasso, Warhol and Lichtenstein. The sculpture garden with works by Alxendar Calder and Joan Miro is an additional attraction. Image: National Gallery of Art. 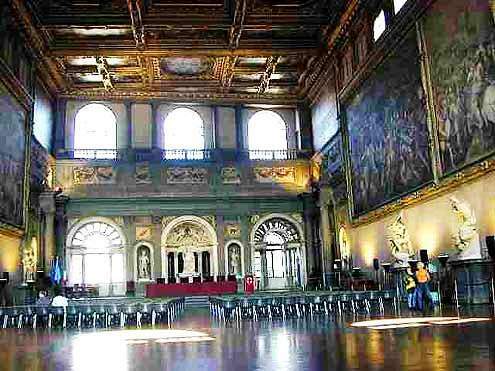 It is one of the oldest and most famous art museums of the Western world. Inside the museum one is treated to masterpieces like Botticelli's 'Birth of Venus' and 'Primavera' as well as paintings by Michelangelo and Leonardo da Vinci. About 4 million visitors throng the museum each year. 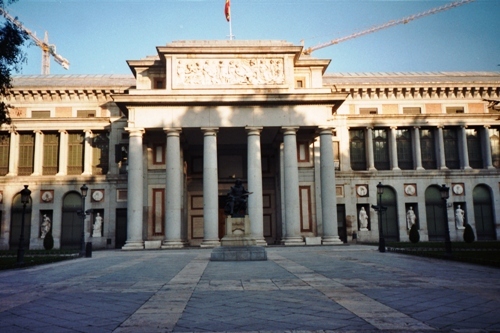 The Museo del Prado is the main Spanish national art museum, located in central Madrid. It features one of the world's finest collections of European art, from the 12th century to the early 19th century. The large numbers of works by Velazquez and Francisco de Goya, Titian, Rubens and Bosch are among the highlights of the collection. About 3.5-4 million visitors throng the museum each year. 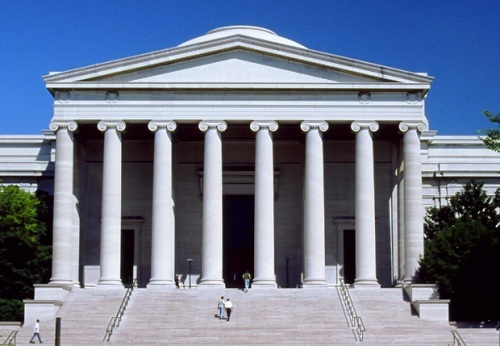 The museum houses one of the best collections of European art from Goya to El Greco. Velazquez's painting 'Las Meninas' is certainly the best know piece of work in the collection. Velazquez also contributed to most of the collection that is in the Prado to this day by assembling work from such artists like Titian, Rubens and Raphael. El Prado is one of the most visited sites in the world. 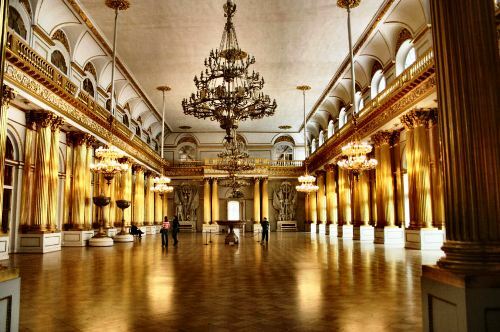 The State Hermitage is a museum of art and culture in Saint Petersburg, Russia. One of the largest and oldest museums of the world, it was founded in 1764 by Catherine the Great and has been opened to the public since 1852. Its collections, of which only a small part is on permanent display, comprise nearly three million items. The entrance ticket for foreign tourists costs four times as much as the fee paid by Russian citizens. About 3 million visitors throng the museum each year. 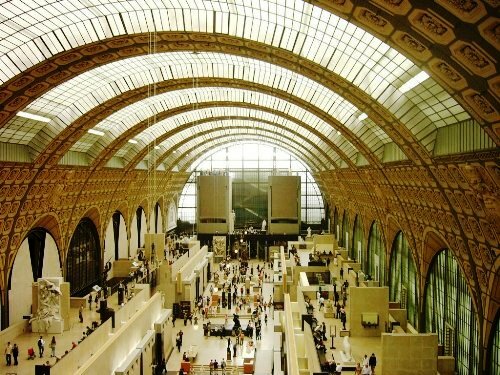 Established in 1986, the Musee d' Orsay is a museum in Paris. Located on the left bank of the Seine River this museum used to be a railroad station and has a huge clock window. The museum holds mainly French art dating from 1848 to 1915, including paintings, sculptures, furniture, and photography. It is probably best known for its extensive collection of impressionist and post-impressionist masterpieces (the largest in the world) by painters like Monet, Manet, Degas, Renoir, Cezanne, Seurat, Sisley, Gauguin and Van Gogh. About 3 million people visit the museum annually. 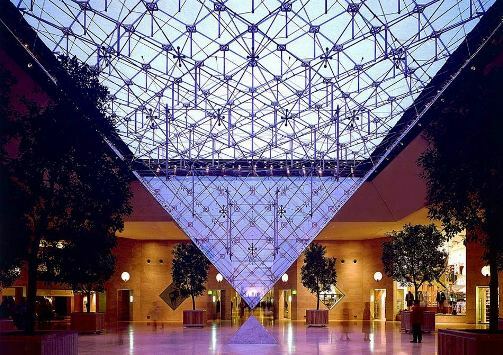 Known as the 'Beauborg' to local Parisians this museum is home to all modern art. 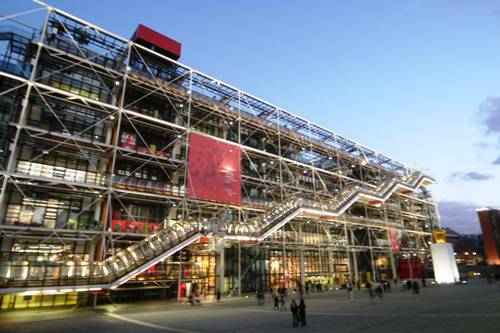 The museum is named after Georges Pompidou, the President of France between 1969 and 1974. The front of the museum is often adorned with street performers and all the other activities. It is easy to spend an hour plus just checking out the mimes. Located on the River Thames and near the Millennium, the museum is known for its collection of international modern art and specific pivotal movements of the 20th century. 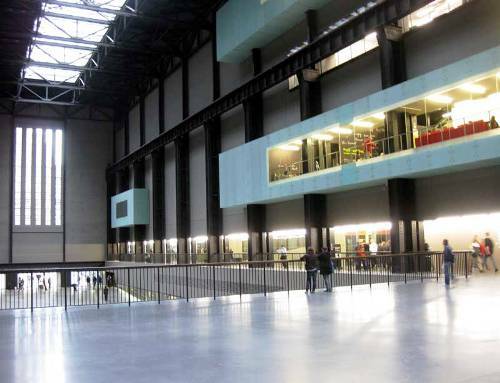 The collections in Tate Modern include international modern and contemporary art dating from 1900 until today. The Tate Collection is on display on levels three and five of the building, while level four houses large temporary exhibitions and a small exhibition space on level two houses work by contemporary artists. About 2.5 million visitors throng the museum annually. Located in the middle of Manhattan, MOMA is often called the most important and influential museum dedicated to modern art in the world today. Here one can see Van Gogh's 'Starry Night', Warhol's 'Campbell Soup Cans' and Picasso's famous 'Les Demoiselles d'Avignon'. The museum receives about 2.5 million visitors a year. MoMA's library and archives hold over 300,000 books, artist books, and periodicals, as well as individual files on more than 70,000 artists. Image: Museum of Modern Art. 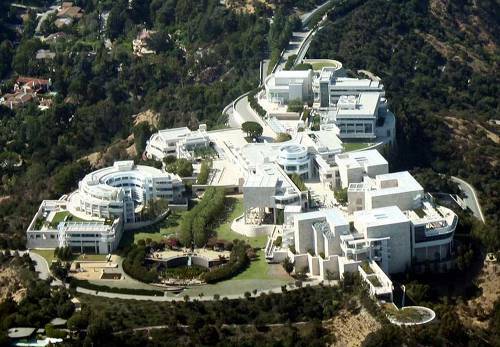 It is one of two locations of the J Paul Getty Museum. This branch of the museum specialises in 'pre-20th-century European paintings, drawings, illuminated manuscripts, sculpture, and decorative arts; and 19th- and 20th-century American and European photographs'. Among the works on display is the painting 'Irises' by Vincent van Gogh. The collection of the J. Paul Getty Museum on display at the Getty Center includes pre-20th-century European paintings, drawings, illuminated manuscripts, sculpture, and decorative arts; and 19th- and 20th-century American and European photographs. Image: J Paul Getty Center. With more than 13 million objects originating from all over the world, this museum of human history and culture is enormous. It contains huge collection of Egyptian antiques, the largest of its kind outside of Cairo. The prints and drawings rank among one of the best. The museum first opened to the public on 15 January 1759 in Montagu House in Bloomsbury. Its permanent collection consists of about eight million works. The museum gets about 1.5 million visitors each year. 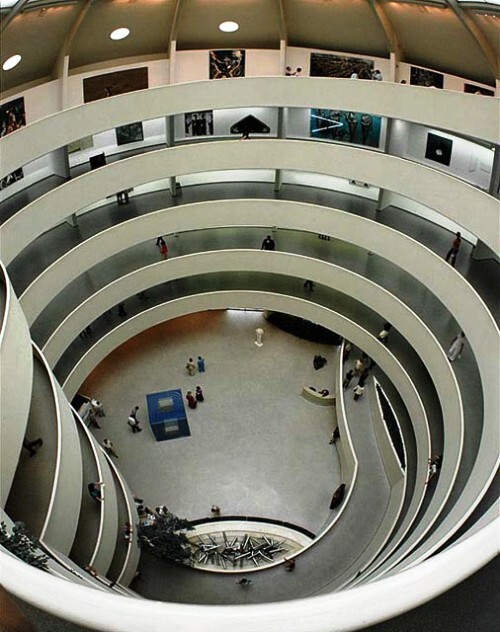 One of the best known museums in New York City, the Guggenheim is the only building in the city designed by architect Frank Llyod Wright. 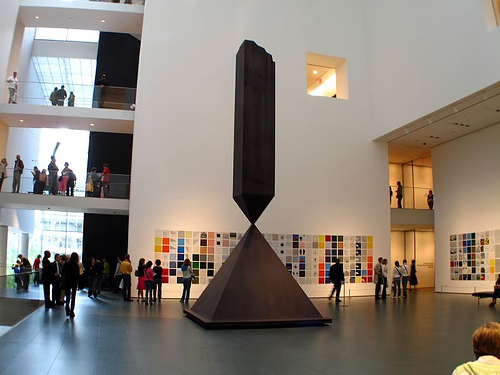 The museum was founded with the intent to showcase avant-garde art and modernists like Kandinsky and Mondrian. One can take the elevator to the top and walk the circular spiral down to the rotunda as one views the gallery along the way. The museum gets about 1-1.5 million visitors each year. Image: Solomon R Gugenheim Museum. 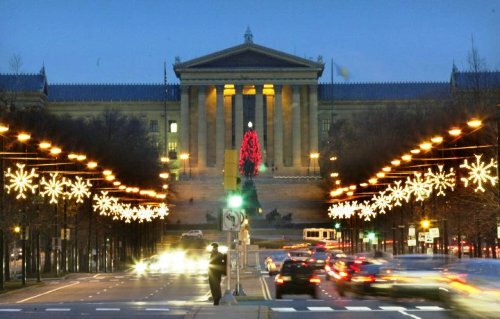 Considered to be one of America's top five art museums and is home to the largest collection of Philadelphia artist Thomas Eakins and works by Marcel Duchamp and by sculptor Constantin Brancusi. This museum puts on upto 20 special exhibitions each year. The special exhibit of Paul Cezanne in 1996 attracted 546,000 visitors and the Dali show in 2005 pulled in more than 370,000. Down the parkway is located the Rodin Museum that houses the phenomenal 'The Thinker'. Image: Philadelphia Museum of Art. Established in 1879, the highlights of the museum are works by the impressionists like Seurat's 'Sunday Afternoon on the Island of La Grande Jatte'. Other important collections are 'American Gothic' by Grant Wood and Monet's 'Water Lilies'. The museum gets about 1 million visitors each year. 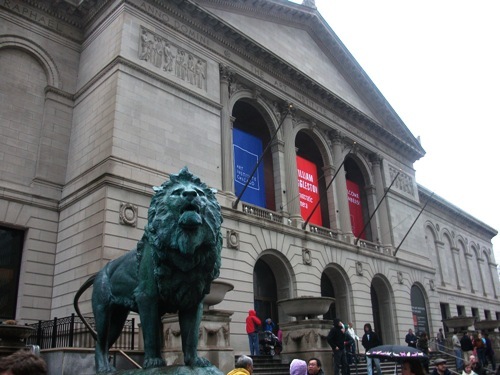 Image: Art Institute of Chicago.